Guess what? It’s back! I am super excited to announce that I will be offering another bootcamp class! 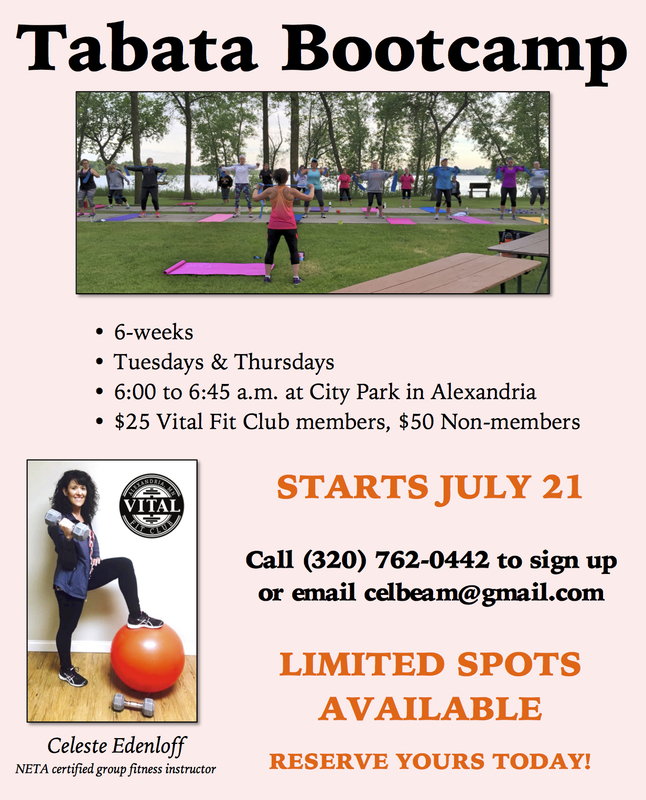 And, the class starts soon – Tuesday, July 21. “I like that the class provides a challenge without making a person feel like it is impossible to do the exercise. They are simple exercises that provide a workout to all parts of your body and brain. They can be done in a moderate or challenging way to provide a total body workout. The class gives me a boost in the morning and I leave feeling refreshed, not beaten down!”– Renee L.
This is just what one of my beginner bootcamp members said about my current bootcamp class. Because we – myself and my members – are having so much fun, we – my boss and I – have decided to offer the outdoor bootcamp class again. If you call to reserve your spot, please make sure that you provide your email address. There are a limited number of spots, so please make sure to call or email right away so your name can get on the list. You will need to be paid by noon on Saturday, July 18 in order to reserve your spot. We will be taking everyone’s names down, but then you must either stop in or call to pay in order to reserve your spot. We will put your name on a waiting list if the spots are filled and then if people don’t come in and pay, I will contact you. I will fill the spots on a first-come, first-served basis. If you have questions about the class, please don’t hesitate to email me. I would love to hear from you. “I have always wanted to take a bootcamp class but was intimidated. I was excited to see a beginners class offered. I love the class and great instruction, and the variety that Celeste offers. 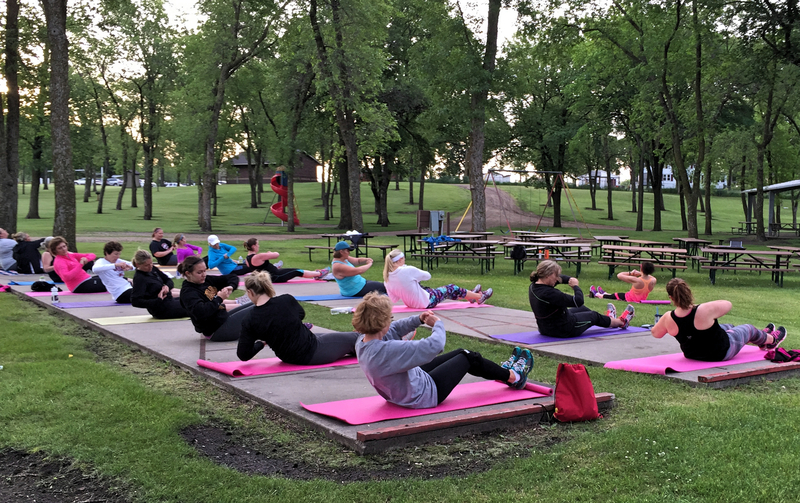 What a wonderful way to start your day – watching the sun rise, hearing the birds and enjoying the views of the lake while exercising with friends.” – Dana L.
“The 6 a.m. bootcamp class is so worth getting up for. Celeste has such a motivating and upbeat personality that gets you going early in the morning. She embraces each level of fitness and easily adapts the movement to each person’s level of fitness. Each week, I look forward to learning a new fitness routine, and feeling the after effects of a great workout.” – Hannah W.
“This is a great start to your day. It energizes you for the day while getting fresh air and an outdoor experience. The exercises challenge you and make you sweat, plus she teaches a variety of moves so you are never bored. Celeste is a fun instructor and she plays great music.” – Angie P.
Previous Previous post: The last few weeks…in pictures! Next Next post: Oh, hello there! I haven’t seen you in awhile.